From its origins in blues and ragtime, jazz has become one of the more popular expressions of music today. Its influence is seen in every form. Learning it can be a tough job for any beginner jazz guitarist. Learning the guitar is personal. It’s a lifelong journey. You want someone to teach you who has taken that journey and succeeded. You want a teacher who knows the fundamentals and the advanced techniques you can grow into. You want someone who can guide your journey and let you advance at your own pace. The London Guitar Institute has been working with beginners just like you in providing high-quality jazz guitar lessons in central London (Mayfair and the City), and it allows its students to progress at their own individual rates. Starting at your current level of performance, a master teacher will guide you to advance to higher levels, culminating in some events and concerts that build your confidence and bring you real joy and fulfilment. Stefan Joubert is the founder of the London Guitar Institute and is a master teacher. He has studied under some of the great jazz guitarists. He knows that learning jazz guitar is both challenging and exciting and he shares his music appreciation with you. As a beginner jazz guitarist, you learn from one of London’s best guitarists and one of its best teachers. It’s important to have both credentials because most students fail because of the wrong teacher. A growing list of students continues to recognize Stefan Joubert as the reason for their success and their enjoyment of music. They like the way he answers their questions, organizes their lessons, shows patience, and explains everything so clearly. The truth is, learning jazz is arduous. It requires a tremendous perseverance and the ability to keep on going when the going gets tough! The wonderful thing is, that the London Guitar Institute provides the highest quality jazz guitar lessons in central London (Mayfair and the City) and knows exactly how to help you as a beginner jazz guitar student to make outstanding progress. Stefan Joubert, founder of the London Guitar Institute had the rare privilege to study jazz guitar DIRECTLY under the late master jazz guitarist Johnny Fourie! Stefan studied for hours at the master’s feet and learned rare secrets of jazz guitar and the inner workings of jazz! 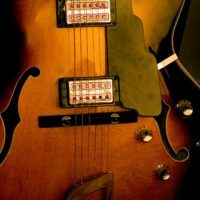 As a beginner guitarist looking to learn, you simply cannot find a better instructor to kindly guide you into the wonderful BUT initially-difficult-to-understand world of playing jazz guitar! If you want to learn to play jazz guitar, you need a good foundation and a good start. Great musicians and performers, some of whom were thought to be “overnight successes,” had spent many years practicing and playing in unknown venues before being discovered. Many hard working jazz guitarists have found fame. Among them, Kurt Rosenwinkel is a renowned modern jazz guitarist. He is known for his improvisations and hornlike phrasing. Rosenwinkel has performed with other legends like Gary Burton and Joe Henderson. Julian Lage has been called a “post-jazz” guitarist and has excelled in genres like be-bop, classical, and bluegrass. Lage began his career at age 15 with vibraphonist legend Gary Burton’s band. These top performing jazz guitarists have one thing in common. Their apparent “luck” is due to hard work. The same is true in virtually every walk of life. Mozart worked for 10 years before he produced any popular music. Joe Pass is considered by many to be the best jazz guitarist ever. He got his first guitar at age nine and joined his first band at age fourteen. His father pushed him to keep practicing scales and playing pieces by ear, “filling in the gaps” with his own sounds. Kobe Bryant, who won 5 NBA championships and 2 Olympic Gold Medals, amassed $200 million in his playing career. Part of his “deliberate practice” routine was making 800 shots every day. Learning involves making mistakes and working hard to overcome them. Failure can be the foundation of success. Frustration can be a sign of skill development and growth. At the London Guitar Institute you will find the foundation for developing the habits and structure you need to learn the jazz guitar. You will also find teachers with patience. And through “deliberate practice” you will find the key to steady progress and enjoyment of the jazz you create. A strong foundation is the prerequisite for any magnificent building to exist. All the greatest buildings on earth started with a wonderful and strong foundation. 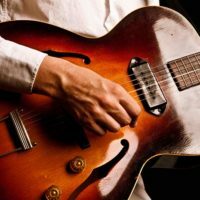 In your beginner jazz guitar lessons in London, we will make absolutely sure that you learn the correct methodologies and techniques from the first lesson. We will make sure that you do not pick up bad habits and flimsy technique, but rather the right methods from the word go. 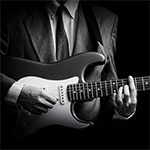 As a beginner jazz enthusiast, you absolutely need to study with the right jazz guitar school in London. At the London Guitar Institute we lay a solid foundation each and every time without cutting corners and looking for ‘so-called’ short cuts. As a beginner learning jazz, you are in excellent hands! Your beginner years of learning to play jazz are the most crucial years! We believe in learning the correct methodologies and techniques as SOON as possible! Learning how to play the guitar with the right habits and mindset will definitely help you to achieve the dreams that you have for your jazz guitar playing! That is why we believe you can simply NOT afford to neglect the early years of learning jazz guitar! Even in an enterprise, the heaviest investing comes first! It is simply a way of life! Think of a farmer – he needs to invest very heavily into his land, equipment and stock – ESPECIALLY in the beginning. Of course he then needs to care daily for his land PRIOR to enjoying his harvest. Your guitar playing is like a farm, invest heavily in the beginning and learn from the best in order to produce the best results in the shortest period of time! Give yourself the best edge to achieve your jazz guitar playing dreams! Jazz is not a style that can be picked up without truly applying yourself! Superimposing chords on top of chords and improvising in the heat of the moment requires skill. That is why you need expert input from outstanding jazz guitar teachers to help you learn jazz guitar successfully as a beginner. Jazz guitar also requires an extraordinary amount of memorisation. You need to memorise countless combinations of arpeggios, chords, lines and scales and then use them in an effective and ‘tasteful’ manner to produce JAZZ! That is why you must insist to study with a top-notch guitar faculty designed to help you as a beginner make IMMENSE progress in the fastest manner possible! Yes, we offer simply the best beginner jazz guitar lessons for adults in London! With us you get a first-class education in a first-class atmosphere designed to help you as a beginner make fast and effective progress. 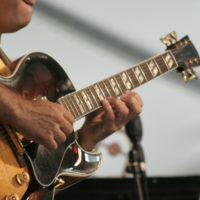 Learn with a master jazz guitarist and educator! Stefan Joubert is simply a master when it comes to music education. Each and every day he instructs many students in the art of music and he knows EXACTLY how to help adults learn music in the most effective method possible! Stefan Joubert is also a master at jazz. He understands the guitar’s neck inside-out and he knows how to help you get to understand it too! Yes, at times the lessons will be frustrating… learning can be tough, but with first-class education you will soon get past the teething problems and start playing the music that you love! As Stefan Joubert himself studied under master guitarist Johnny Fourie in South Africa, you stand to benefit from handed down knowledge rarely taught in music schools around the world. Enjoy the highest quality jazz guitar lessons for beginners in central London and make rapid progress with a jazz guitar giant who will help you make outstanding progress! 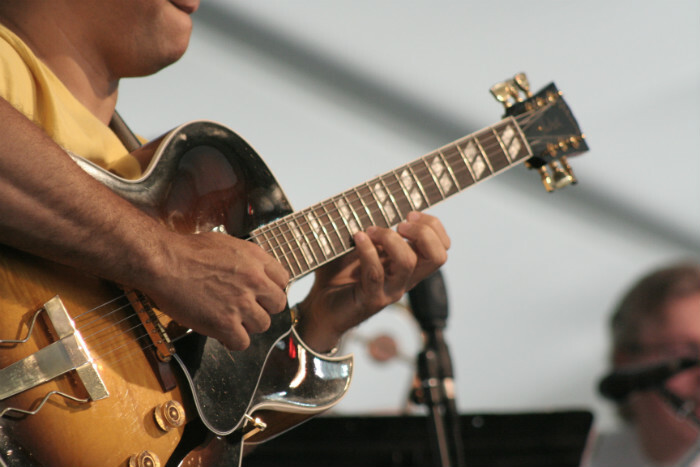 As a beginner jazz guitarist, you will learn basics like finger placement, body posture, how to choose and hold a pick, how to read TAB and chord boxes, and how to tune your guitar. You will learn about chords and how to superimpose them. You will learn rhythms and improvisations. You will learn about scales and modes, pentatonics and metronomes. 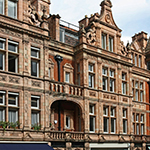 There is no better place to learn jazz guitar than at the London Guitar Institute. Super instruction by master teachers provides the highest quality music education for beginner jazz guitarists. Stefan Joubert, who studied under master guitarist Johnny Fourie in South Africa, delivers the level of instruction that you are comfortable with, and gives you the education you need to advance your knowledge and skill set. There are two great and convenient locations for jazz guitarists in London. As a beginner jazz guitarist, you are immediately eligible for training at the London Guitar Institute. There are no pre-requirements. Lessons take place weekly at set times and days. Whether you know little or nothing about jazz guitar but are interested and want to learn more, we can help you discover your level of skill and potential for growth. 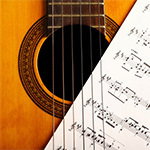 Contact us for more info about our beginner jazz guitar lessons. We promise a prompt and personal reply within 1-2 working days. Are you an intermediate jazz guitarist looking to massively improve your guitar playing using proven and effective methods designed by master guitarist Stefan Joubert?